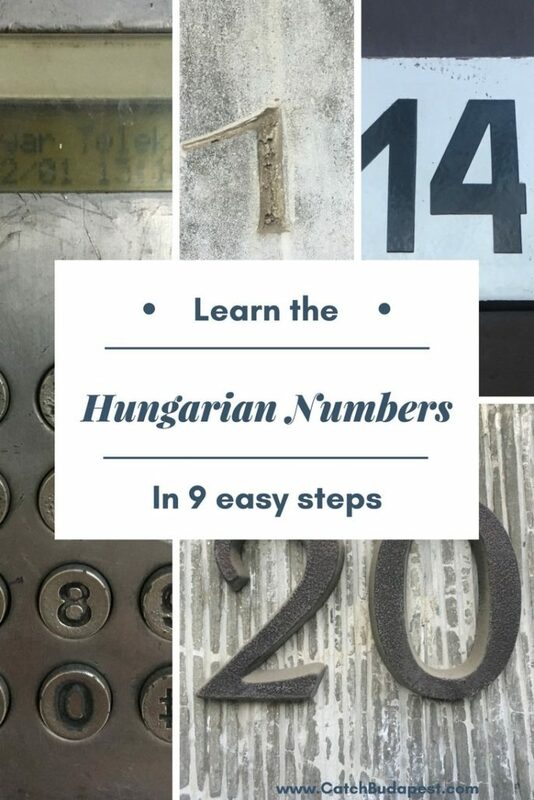 Learning the Hungarian numbers is a crucial part of getting around in any language. Numbers are omnipresent – we use them during every payment process or when indicating anything that’s quantifiable – our age, the date, the current time, etc. 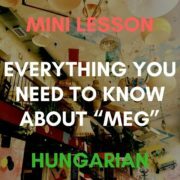 This article is for you if you’re looking for a comprehensible, quick and applicable way of learning the Hungarian numbers and using them in real-life. Hungarian Numbers are pretty straightforward, since the numbers are built-up in a logical way: The pronunciation of e.g. a four-digit-number will start with the first digit, followed by the second, third and fourth. 1234, as an example, is the Hungarian equivalent of thousand – two-hundred – thirty – four. Just as in English. Here is our step-by-step-guide to learning to count in Hungarian. It shouldn’t take you more than 30 minutes to get the numbers into your short-term memory. As for the long-term, it’s all about practicing, preferably “on-site” – e.g. 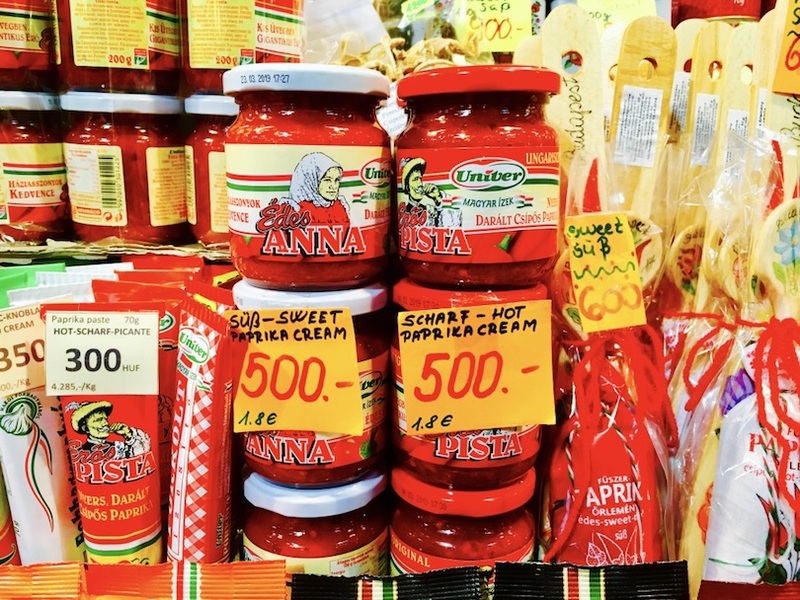 by shopping and eating out in Hungarian. 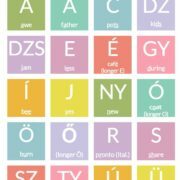 Note: If you’re not familiar with the Hungarian alphabet and pronunciation yet, start with this article about the Hungarian Alphabet. 1. Learn the Hungarian Numbers from 0-9. Luckily, there’s nothing more to it than adding the singles after the tenners. The only exceptions are 11-19 and 21-29. 4. Learn the hundreds, thousands and ten-thousands. 49659 – negyvenkilencezerhatszázötvenkilenc – fourty-nine-thousand six-hundred fifty-nine. And so on. No exceptions. 5. Learn everything in between. Congratulations. You can now count from one to kilencvenkilencezerkilencszázkilencvenkilenc. When actually applying the numbers, you will have to remember exactly one important thing: The number itself has no influence whatsoever on the subject of the sentence in a grammatical way. For example, three girls is “három lány”, instead of három lányok. Although this is unusual, it makes things significantly easier – you don’t have to think about any grammatical rules when quantifying something within a sentence. Négy kutya megy az utcán – Four dogs are walking on the street. Három sör! – Three beers! Ezer forint lesz. – It’s gonna be a thousand Forints. All ordinal Hungarian numbers end with “dik” (should be easy enough to remember…). There are two exceptions: first is első (instead of egyedik) and second is második (instead of kettedik). Note that the vocal that connects the suffix “dik” changes (“negy–e–dik”, “öt–ö–dik”) but this really shouldn’t bother you. If you’re unsure, just say the number you want to spell ordinally and add “dik”. It will sound just right, since the only purpose this vocal serves is to provide a phonetic expression for the natural break that follows between two consonants. Note further, that the exceptions “első” and “második” really only apply for first and second. 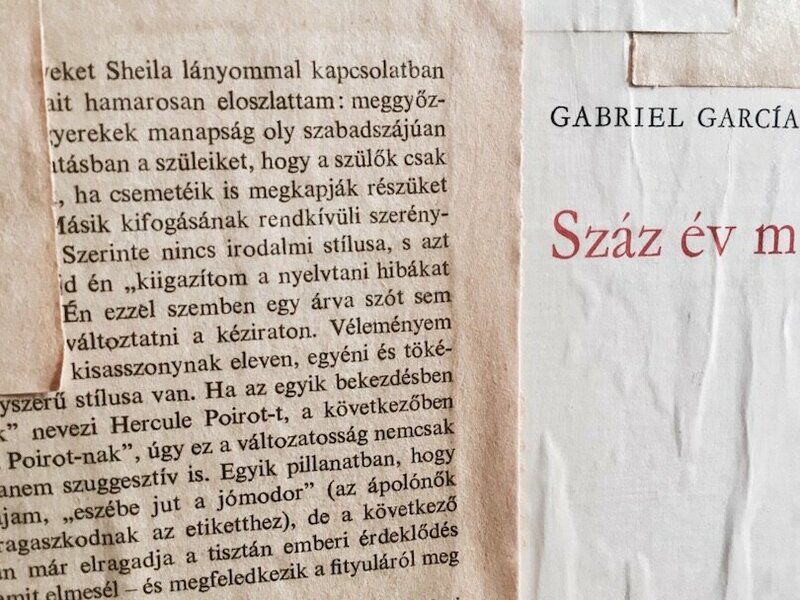 The eleventh is “tizenegyedik” and not “tizenelső” and the twenty-second is “huszonkettedik” and not “huszonmásodik”. Conclusion: If you remember that first is “első”, second is “második” and the ending is “-dik” you can express every number you have learned in an ordinal way. Indicating time and date is one area, where you will frequently get in touch with the numbers. Let’s see how this works in Hungarian. Spoiler: It’s really no rocket science. In Hungary, we can both use the 12- and 24-hour version of the clock. The 12-hour version gets clear from context, since we do not use AM and PM. To say the current time or the time you want to indicate, just read out loud, what the digital clock says. Of course, we also say half past, quarter to and quarter past, but you don’t really have to. Negyed öt – three-fourths to five (4:15). Dates are even easier to indicate. Hungarian dates are built up in a very logical manner. As opposed to English, where we first indicate the month, followed by the day and the year, Hungarian goes from biggest to smallest. Starting with the year, followed by the month and the year. The months, and only the months are spelled ordinally. We don’t use nineteen- / eighteen-, etc. hundred but stay with thousand-nine-hundred, thousand-eight-hundred, etc., when indicating years in dates. We add “hó”, meaning month after indicating the month. It spells “ezerkilencszázkilencvenegy, negyedik-hó huszonnyolc”. You can also replace the number of the month by the month itself, similarly to English. In this case, these dates would be “ezerkilencszázkilencvenegy, április huszonnyolc” (April 28th, 1991) and “ezerkilencszázhetvennyolc, szeptember tízenkettő” (September 12th, 1978). In that case, you don’t need the “hó”. It’s your turn now. For most of the time, you’ll be dealing with numbers, when it comes to paying something. Next time you do that, focus very strongly on the price the cashier is telling you. Don’t be afraid to say “lassabban” (more slowly), if you didn’t get it the first time. Force yourself to really repeat the number in your head and making a sense out of it, before paying. When you look at you phone or watch, say the time and date in Hungarian in your head or out aloud. Ask people on the street for the time in Hungarian (“Hány óra?”), repeat their answers in your head and make a meaning out of it. Practicing in real life is really the only way to memorize and apply the numbers long term. So don’t stop at storing them in your head. Use the time you have invested now and apply it whenever you can in real life. 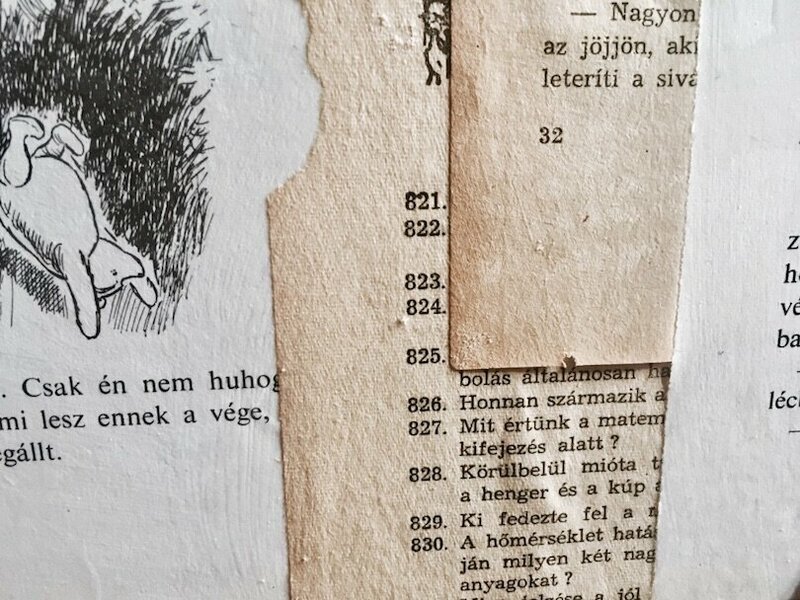 We really hope that this article was helpful to you and that you can now master the Hungarian numbers in no time. If anything remained unclear or you have another awesome advice for memorising the numbers, don’t hesitate to let us know in the comments!